Scott Sauritch, who leads the Steelworkers 2227 union in West Mifflin, Pennsylvania, was invited to speak at President Trump's signing ceremony to impose new tariffs on steel and aluminum last week. He thanked the president for the economic move, which he said will ensure infrastructure and the safety and security for the steel industry. The president's tariffs had plenty of critics, though, including Republican ones, who warned that he may have just started a trade war. Sauritch said some of these concerns are "propaganda." He emphasized the positive impact the tariffs will have in an interview with NPR. Well, I think if you've got the upper 1 percent, they don't have a clue what the engine of society, the middle-class people, what we do. And with that being said, I can tell you that I've seen as I'm - you're going up and down the valley where we live the compromised communities that all were economically filled with steelworkers that were doing very well. And to see the communities struggling - now you get a shot in the arm like this. It adds more security. And it opens up some great opportunity for many people. Maybe many people with no hope, but especially for Granite City. MSNBC's Ali Velshi also had the chance to ask Sauritch to share his analysis with his audience last Friday, but not before insulting his trade. (Bolding added for emphasis). "So let me ask you this, Scott. You saw this trend in the 80s. You saw the imported steel was hurting the industry. I guess my question is for steel workers around America as I discussed with somebody earlier, a lot of this is technology, right?" Velshi asked. "It just takes fewer human labor hours to make a ton of steel. At some point doesn't it make more sense to start to transition. You don't want your son being a steel worker I assume." Well, actually, Sauritch informed him (pretty politely considering the offensive question), his son had already been hired by U.S. Steel "not too long ago." Velshi had to quickly shift gears. "Doesn't that worry you though? 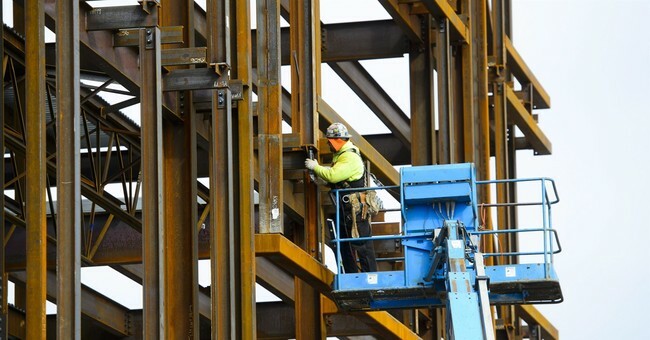 There aren't going to be more steel jobs, there are going to be fewer of them." Nice try. The damage has been done. Elitist, much?